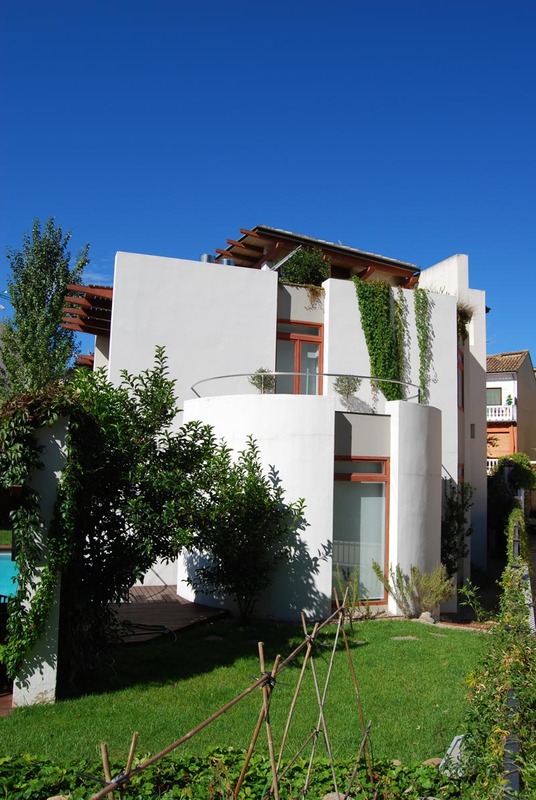 Luis de Garrido shared with us the Torres House, a residential project that was completed in 2001. 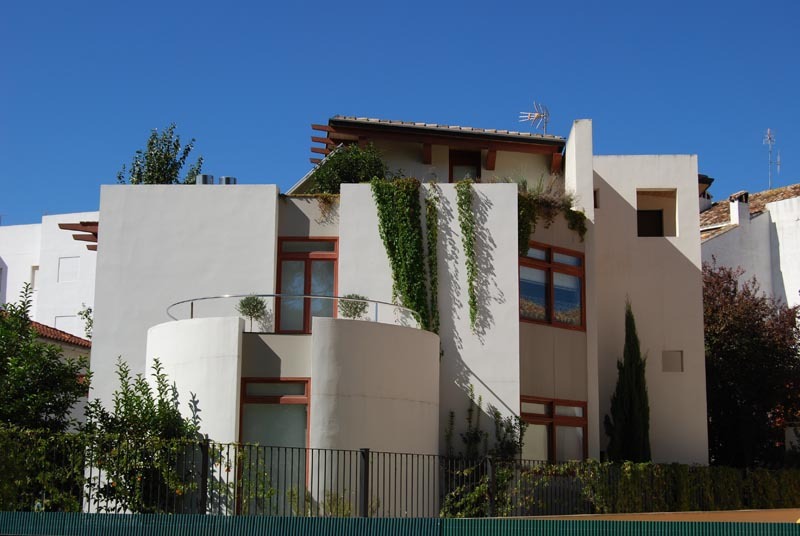 Located in Navajo, Castellón, the house covers 470,67 m2 area and spent 280,700 euros for construction. More images and description (Google-translated from Spanish) from the architects follow the break. – A housing project with an architectural structure bioclimatic high efficiency, it responds properly to extreme weather conditions in the region (from – 5 º to 40 º) so that the necessary any system I mechanic acondicionamiento, nor invierno, nor in vacationers. – Make sure ejercicio an architectural integration of solar energy collectors, without it falling usual efficiency of these proposals usual. 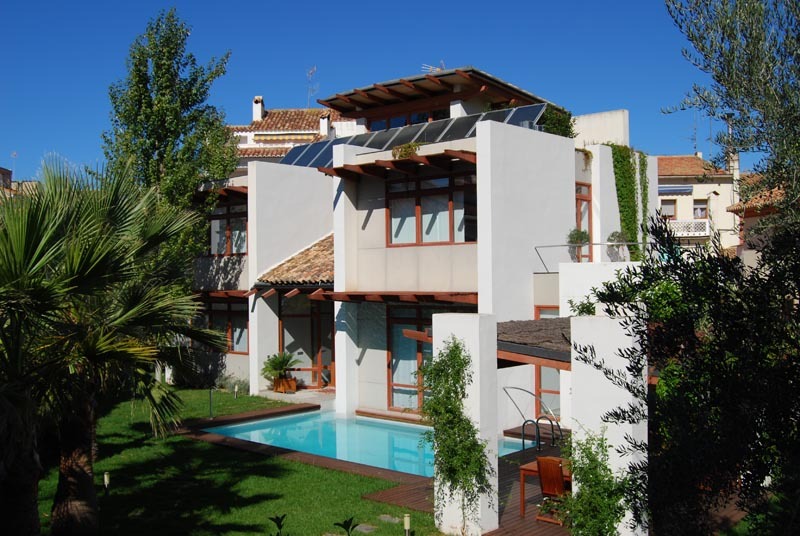 – Integrate a pool at a house in such a way that affects the behavior bioclimatic su, y puedo use comfortably every day of the year, calentándose through solar thermal sensors. 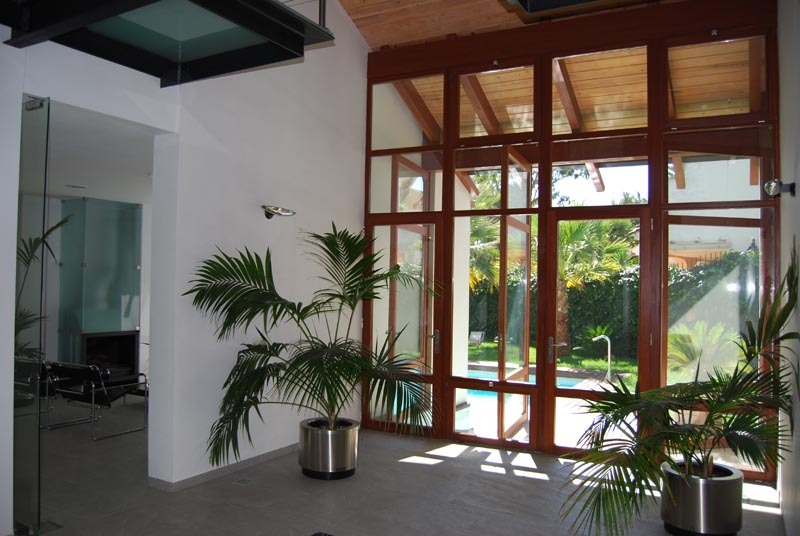 If puedo access to the pool water central glass it directly, without leaving the building’s exterior, ya su once the pool remains independiente de la housing to increase in su-level humidity environment, and prevent condensation. 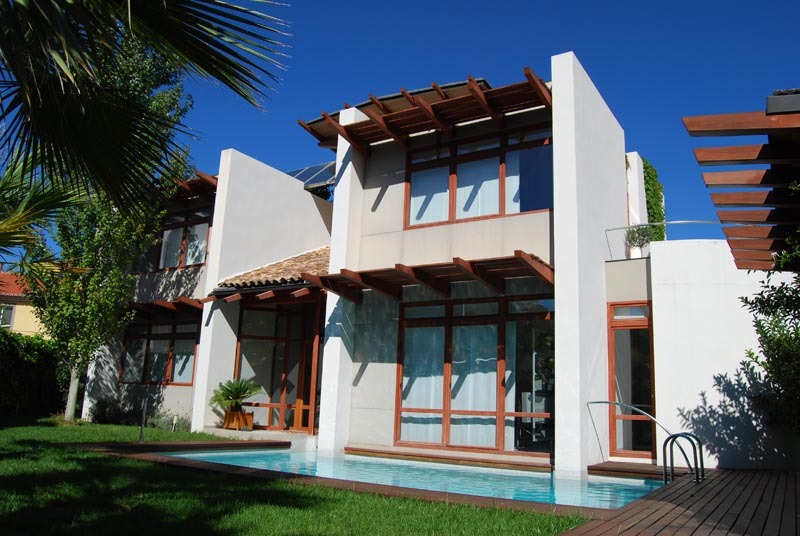 The house is situated in la Sierra del Espada, in Castellón, with invierno muy muy hot cold and vacationers. 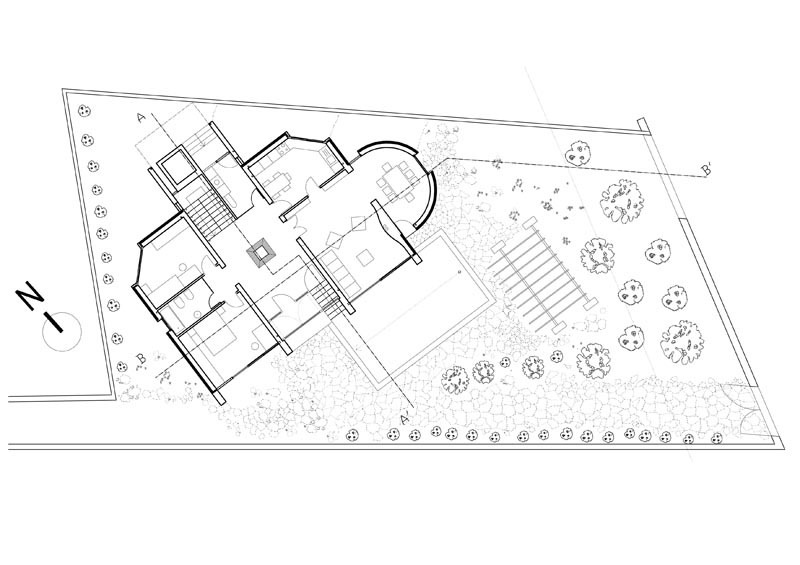 Due to experience it obtenida Blasco design house, will be intended to make a second variation of the same architectural style, with him to try out but it enhance performance and bioclimatic the same, to cope with an equally cozy environment in summer, but cold-winter but Mucho. In this case, you Heche Changes of type, surface conditions and vidriado sunscreen with him to ensure that housing in need of any mechanical system of refreshment. Su in place, will be laid in a geothermal system architecture-of soda muy effective. To cope with the temperatures Bajas de invierno, housing puedo easily transform into a huge greenhouse, and in addition we have arranged a system of radiant heating by Land, solar powered water caliente. Housing in need of any boiler apoyo. 1.1. Natural resources. 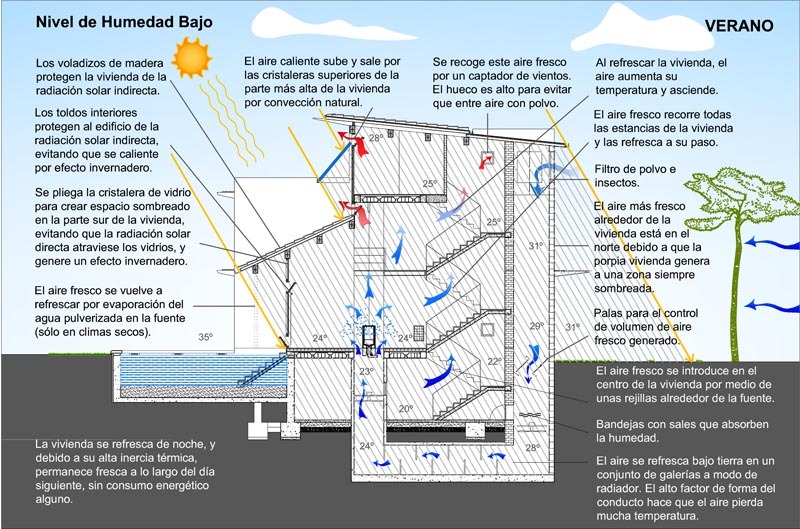 If the maximum resources aprovechan sun as it (for Calenti generar housing and electricity), the breeze, the land (to cool the housing), agua de lluvia he (Riego for the Garden and the cisterns of the toilets), …. . For otro lado, will be installed water saving devices in the italics, showers and tanks them odorless. 1.2. Resources made. 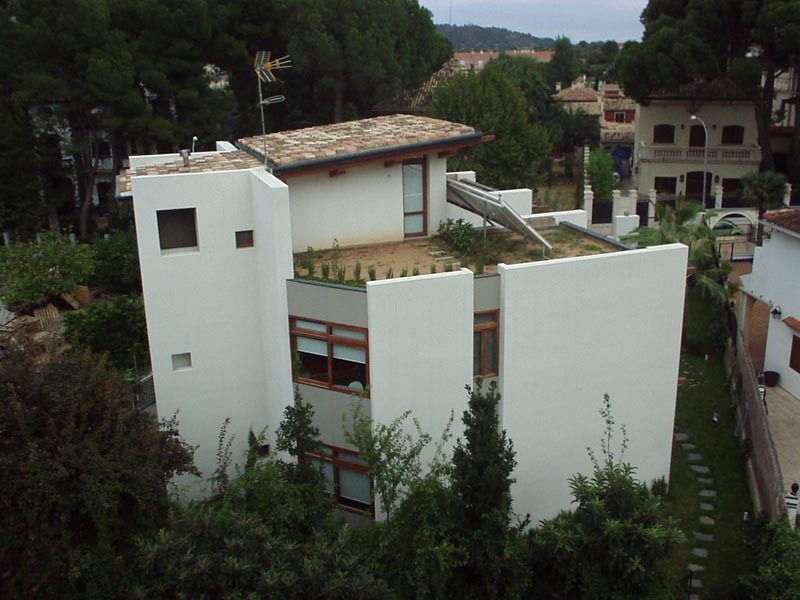 Los empleados materials aprovechan if the maximum possible disminuyendo waste through a certain project, and an efficient management (concrete, clay bricks, losetas ceramics, wooden windows, painting, …). For otro lado, it sure design of housing, the base walls of cargo, which allows only Construyendo without auxiliary resources (such as scaffolding, cranes, etc. …). The vast majority of housing materials puedo be recoverable (soles, carpentry, vidrios, wooden beams, girders, covered walkways, cabinets, wood recubrimientos, sun protection, health, …). The housing will be built with a minimum power. Los materials used will be manufactured with a minimum amount of energy. For otro lado, housing will be built just without auxiliary resources, and manpower muy season. 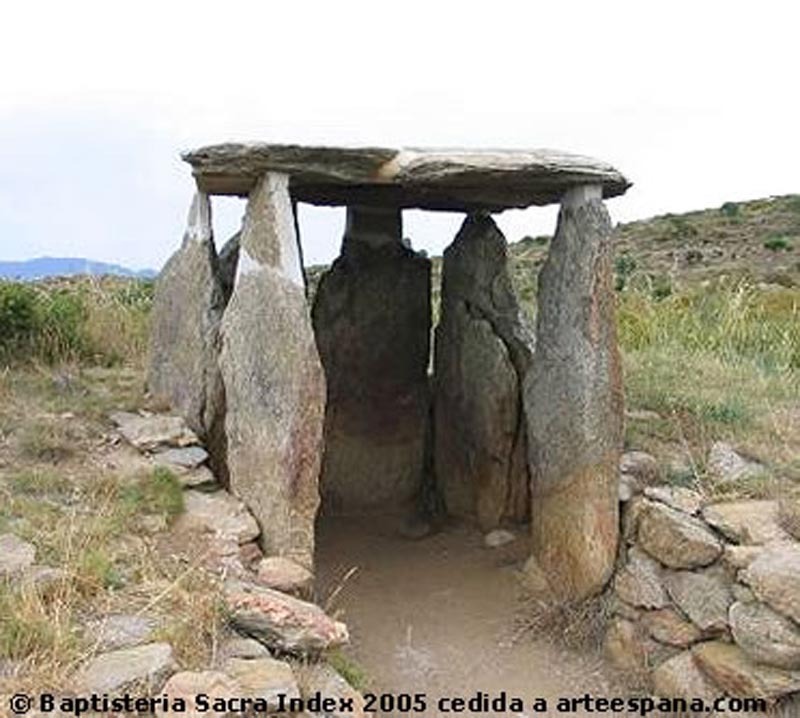 Due to their bioclimatic characteristics, housing energy consumption Tien a conventional muy Bajo. Housing is caliente by greenhouse gases and radiant heating with water calentando Land for solar energy collectors. His own way, he is hot water Genera through the solar thermal sensors. Due to the large thermal inertia of the housing, and the degree of asoleamiento the place, he solar heating system in need of any boiler apoyo, for it is the energy consumption for heating. Housing chills out for architectural geothermal systems, and requires no mechanical acondicionamiento computers, so there tampoco energy consumption. The vast majority of the materials used puedo recover easily (once exceeded the lifetime of the building), to re-use in the construction of building each other (soles, carpentry, vidrios, wooden beams, girders, covered walkways, cabinets, wood recubrimientos, sun protection, health, …). 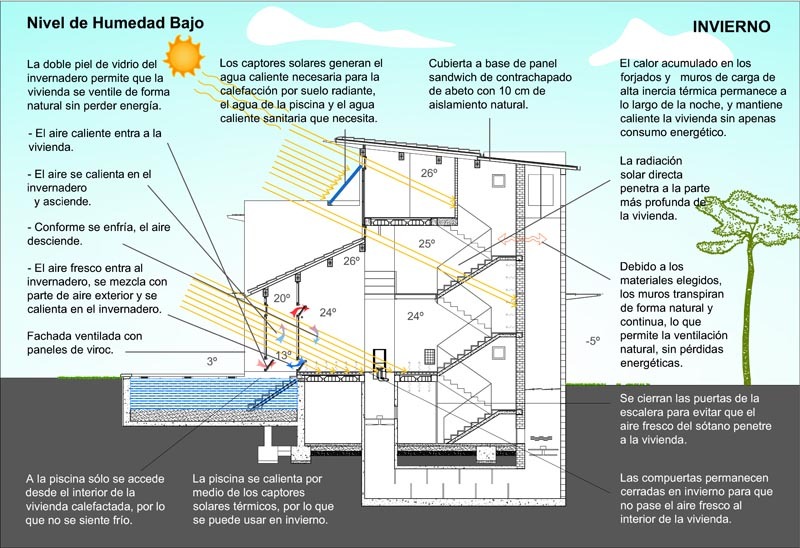 La Energía used is of two types: solar thermal (solar energy collectors for heating it and ACS, and evaporation of water for refreshment of air) and photovoltaic, and geothermal system (air freshener Aprovecho the existing Baja temperatures at 2 meters land Bajo in the galleries below the wrought sanitary housing). Housing in Genera no emissions, and Genera tampoco any type of waste, except organic. 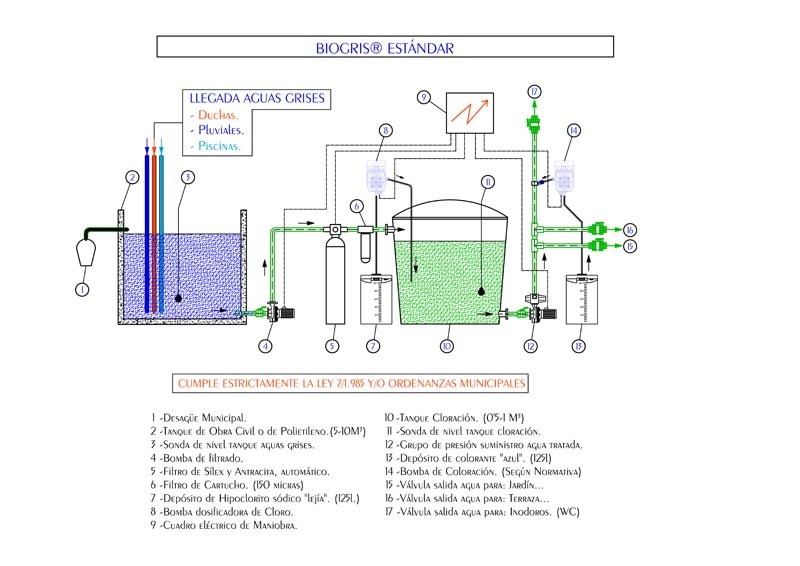 Part of these are used for domestic waste conveniently Nuevo tratándolos (greywater to the garden he Riego). For otro lado, during the construction of residential waste only will be generous, and muchos Ello to have been reused. All materials are environmentally friendly and saludables empleados, Tien and no emissions that affect human health puedo. 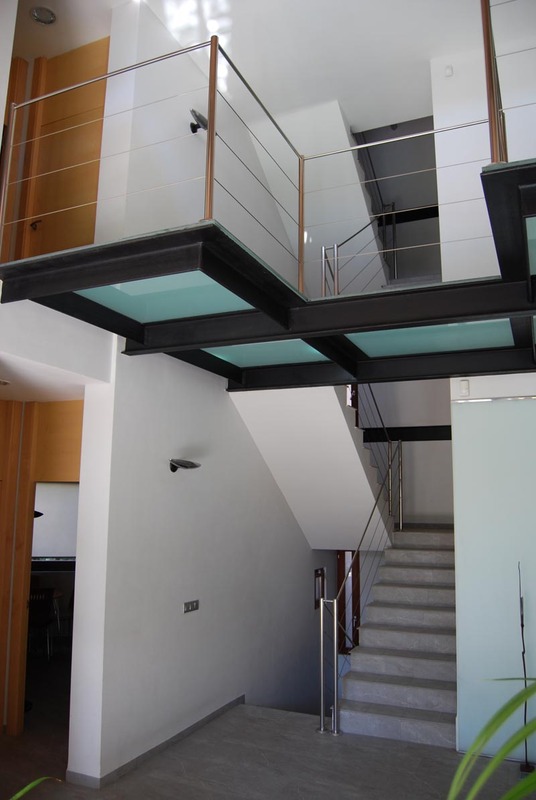 His Similarly, the housing is ventilated naturally, and Aprovecho the most of natural light (artificial light used in puedo mientras there is daylight), which creates an environment and provides the saludable mejor possible quality of life for building occupants . 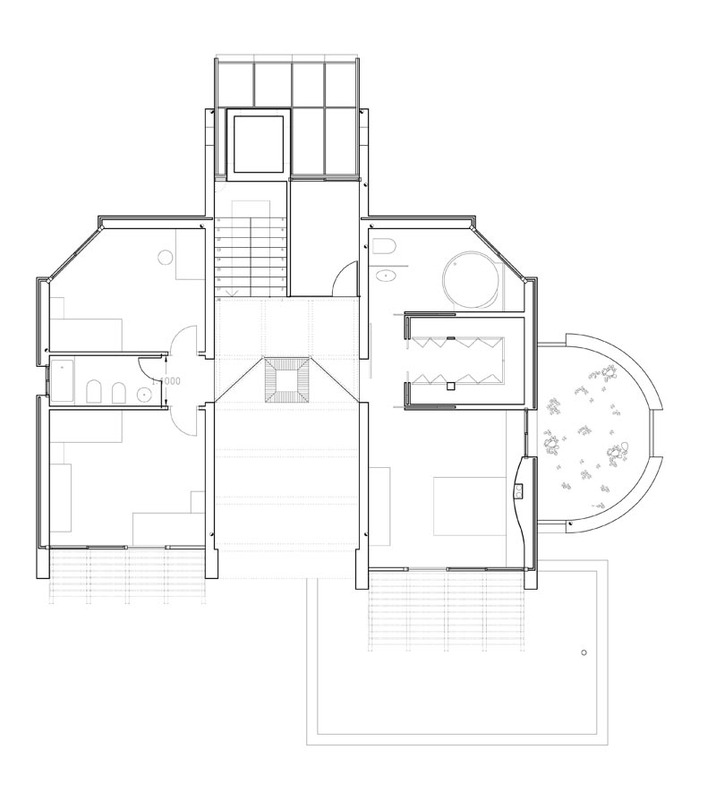 Housing has been proyecto rationally, eliminating redundant matches, unnecessary in the music, which allows su conventional construction at a price, although the equipment incorporating Green. His Similarly, housing is muy easy to maintain, routine cleaning, and biannual treatment of wood-based vegetable oils. Housing is caliente itself in two ways: 1. Avoiding enfriarse: Due to su aislamiento high heat, and large areas disponiendo vidriado ground to the south and east, and none to the north. 2. Due to careful and su particular bioclimatic design, y su perfect NS orientation, the dwelling is caliente by greenhouse gases, direct solar radiation and solar heating for radiant Land, and remains Mucho caliente over time due to high thermal inertia su. The dwelling is refreshing in itself in three ways: 1. Avoiding calentarse: disponiendo most vidriado area to the south and just west; disponiendo sun protection for the direct and indirect solar radiation (a type of protection differs for each of them hueco with different orientation), and a disponiendo aislamiento appropriate. 2. Refrescándose through an architectural system cooling air through underground tunnels. For otro lado, due to high thermal inertia of the building, he accumulated during the cool night, whether during practice mantiene entire day Next. 3. Evacuating him to the outside air caliente housing through the upper windows of the central covered courtyard. The covered an angle of power and natural convection provides an effective chimney effect “to extract it caliente air inside the house. He generous warmth during the day invierno accumulates in the forged and the walls of cargo, manteniendo caliente housing during the night. His own way, he generals during the cool night in summer collects in the forged and the walls of cargo, fresh manteniendo housing during the day. The garden covered with high thermal inertia, refuerza this process. 4. Transfer system (heat to cool). He generous warmth of the greenhouse effect and natural radiation is distributed in the form of air around it caliente building since he central greenhouse. His own way, he heating system is radiant Land extiende throughout the dwelling. He accumulated heat in the walls of the load is transmitted to the side rooms by radiation. He cool air generated on the galleries is by allocating housing through a set of grid divided into wrought it for housing. For otro lado, he asciende fresh air central courtyard and he goes through all the rooms through the grid of the Puerto interior. The fresh air inlet of the mechanical system, coincides with the output of bioclimatic architectural system. The building ventilation whether hare continuously and nature, via the surrounding walls themselves, which allows proper ventilation without wasting energy. This type of ventilation is possible since all materials are breathable (ceramics, cement-lime mortar, paint for silicates), Aunque he has set a behavior is completely waterproof. Wall of two leaves. La hoja interior wall it is loads of hollow brick of 25 cm. thickness (with high thermal inertia). La hoja exterior is brick Hueco 7 cm. On it within the double hoja is a layer of hemp aislamiento 5 cm. and a ventilated air chamber of 3 cm. (In parts of the algunas la hoja exterior facade will be made based on Viroc painted panels of 13 mm. Thick, Dispuesto by Ripa, incluye a layer of hemp aislamiento 5 cm, and a vented air chamber 2 cm.) semiviguetas Forged of hard, concrete and Abobadilhas. Painting silicates. Ipe Wood inked and treated with vegetable oils. Vegetable dyes. Soles losetas porcelain tiles. Puertas de tablero double wood shavings, wood flooring in the Hague, and treated with vegetable oils. The gardens have covered an average thickness of 25 cm. of land. The cover is made of the sloping base of a tablero sandwich Compuesto hojas three: one of Viroc tablero (Virut wood to concrete) of 13 mm. thick, white layer of cork (from the crust of the forests burned alcornoque) of 100 mm. thick, and a tablero abedul of plywood of 13 mm. thick. This tablero sandwich for a screen this recubierto asphalt Teja and Arabic. The beams are inked Ipe wood and treated with vegetable oils. Polypropylene water pipes. Gutter pipes of polyethylene. Energy efficient appliances. Woodworking Wood Iroco treated with vegetable oils. Cotton canvas awnings. Sunscreen ipe hardwood, treated with vegetable oils. All wood used Tien a certificate of origin and selective treatment with splints Ecological (FSC). 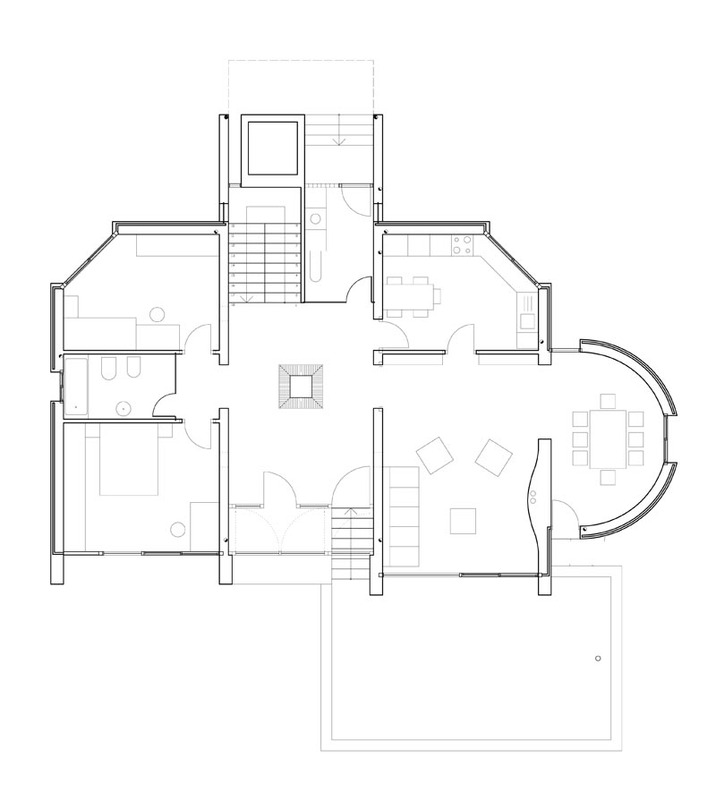 – Type of architectural energy efficient. Housing consumes as little as 20% of which consumes a conventional housing, with the same built area. – Catchers vientos geothermal system and refreshment of air, through tunnels, he Aprovecho space debajo del forged health. 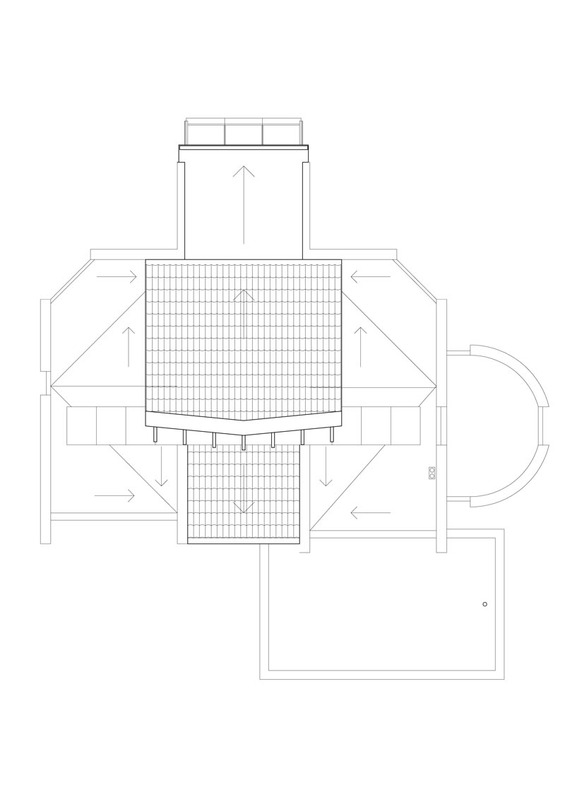 – One architectural integration of solar energy collectors.